Nine years ago, I attended a one-day writing workshop that would forever alter my approach on how to write with transparency. Huddled in the middle of one participant’s living room and accompanied by seven writers and authors we came together to learn, evaluate our stories, break down our barriers and gain encouragement in a supportive community of writers. Despite the level of accomplishment or experience, each participant brought with them a willingness to be coachable. By closing time, we’d all become acquainted as literary teammates and soon to be long-term friends. We’d realized that a bridge had been built to help facilitate our journey as writers. The builder of this bridge was workshop leader Marita Golden, an influential and international master teacher who has been a notable name in the literary arena for more than 30 years. 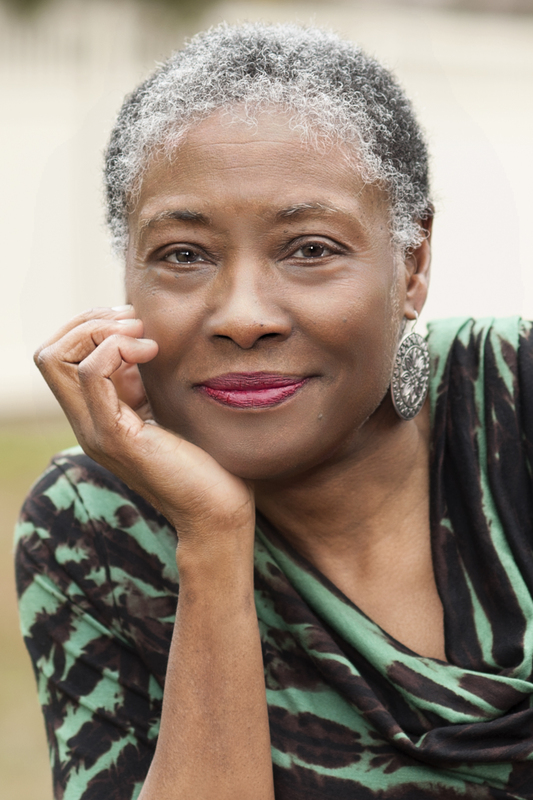 Marita Golden is an Award-winning author of more than a dozen books of fiction and nonfiction, master teacher of writing, literary institution builder, life coach, lecturer, speaker, workshop presenter, mentor, mother, wife and trailblazer. 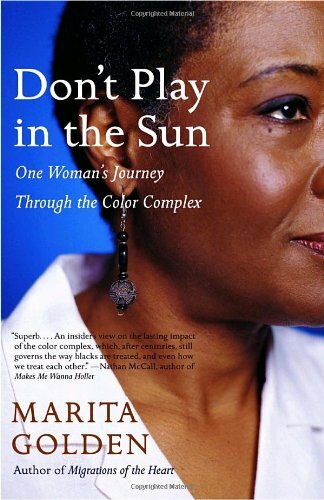 Marita founded the Washington, D.C.- based African American Writers Guild and is the Co-founder of the Hurston/Wright Foundation, which has awarded over $500,000 in awards and scholarships to African American writers, novelist and poets since 1990. As an extension, Marita created the Hurston/Wright Writers’ Week, which has been attended by over one thousand writers and she presents the Annual Zora Neale Hurston/Richard Wright Legacy Awards Ceremony in Washington, D.C.
As a master teacher, Marita has taught and influenced thousands of student writers and published authors alike all over the world on how to enhance their writing skills, explore their writing voice, and find creative and supportive writing communities. Her ability to induce change and connect writers to the heart and soul of their craft is an extension of her ever-present commitment to the literary arts. She has served on the faculties of Emerson College, Virginia Commonwealth University, George Mason University, Fairfield University, Johns Hopkins University and the University of the District of Columbia. Executive Director Hurston/Wright Foundation (2013-present) – works with the board of directors to ensure the viability and continued health of this 25 year-old organization which is dedicated to supporting the national community of Black writers. 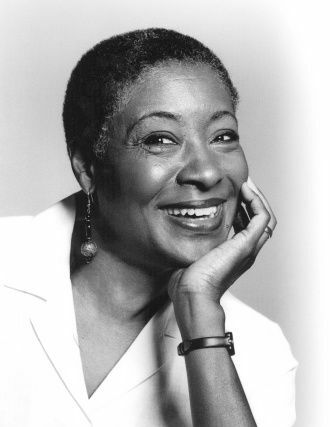 Co-founded the Zora Neale Hurston/Richard Wright Foundation in 1990. Writer-in-Residence University of the District of Columbia (2005-2009) where she served as the university’s first writer-in- residence. She coordinated the first annual literary series; coordinated a three-day literary festival that featured 50 nationally known writers; and took members of the Literary Club to New York to meet with publishing professionals. Recognized as Faculty Member of the Year by Phi Delta Kappa UDC Chapter. Introduced new graduate and undergraduate writing courses that increased enrollment in the English Department at the University of the District of Columbia (UDC); published several exceptional UDC writers in anthology of which she edited and published by Doubleday. Senior Writer in Graduate Creative Writing MFA Program Virginia Commonwealth University (1994-2001) where she introduced a year-long Creative Nonfiction workshop for students working in book-length projects; served a Director of the MFA Program and was active in recruiting students, and helped increased minority enrollment in the program; created a partnership between the university and the Hurston/Wright Foundation that resulted in an annual summer writing workshop held on campus; published an exceptional nonfiction writing student in an anthology; and directed MFA Masters Theses. Associate Professor MFA Creative Writing Program George Mason University (1989-1994) where she taught graduate and undergraduate classes in writing and literature; with the support and assistance of the English Department, founded the Hurston/Wright Foundation; directed MFA Masters Theses. Marita has been a catalyst for change for many decades. Her relentless motivation to create opportunities for achievement regardless of religion, economic status, or political divide make her one of the most notable woman educators of our time. Her many literary works have become favorites within book clubs, used in African American Studies in college courses from literature to sociology around the country, and are recognized as having added depth and complexity to the canon of contemporary African American writing. She has helped women and men on all levels redeem their spirit through reading and writing, embrace their unique talents and unleash the imagination from within. As an Award-winning author, Marita has shown writers how to reboot their writing lives, write with authority and intent, and create the kinds of stories that readers will remember for a lifetime. Her narratives provide prolific insight into women’s lives, women’s studies, and African American culture overall. Like a seed that is planted in fall and blooms in spring Marita encourages writers to be fertile and plant their own seeds of goals, dreams and wishes. March arrives with a new season of spring and just as the season, for some writers, it may mean a time for new growth. As a life coach, one way in which Marita helps individuals expand their personal growth is through her latest platform launched early 2016 “A Day of Life Writing with Marita Golden”. In this forum, she uses life writing exercises, storytelling, and visioning exercises to stimulate the individual’s ideas and strategies for change and growth. Her customized life writing program creates a new year of possibilities and action plan to aid the participant in moving beyond obstacles to creating a blueprint for the year they want and the best life possible. As a literary and editorial consultant, Marita has provided one-on-one coaching sessions for writers at any stage in the development of their writing, and evaluation of in-progress or completed manuscripts. She has lectured and presented at over 75 colleges and universities in the United States and abroad on African American literature. She has traveled to Turkey and Spain for the United States Information Agency Cultural Exchange and has offered a series of popular 2-day writing retreats. Marita holds a Bachelor of Arts in American Studies/English from the American University in Washington, D.C.; and M.SC. Graduate School of Journalism at Columbia University in New York. To many, she is a literary missionary; a messenger of truth; a crusader for women writers.